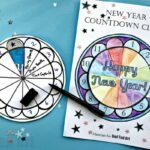 Our New Year’s Eve Countdown planning continues. 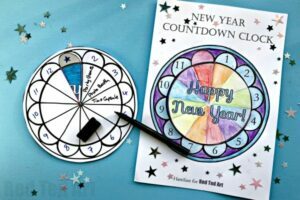 If you love New Year’s Eve but need a set of fun but EASY New Year’s Eve activities for kids.. keep reading. 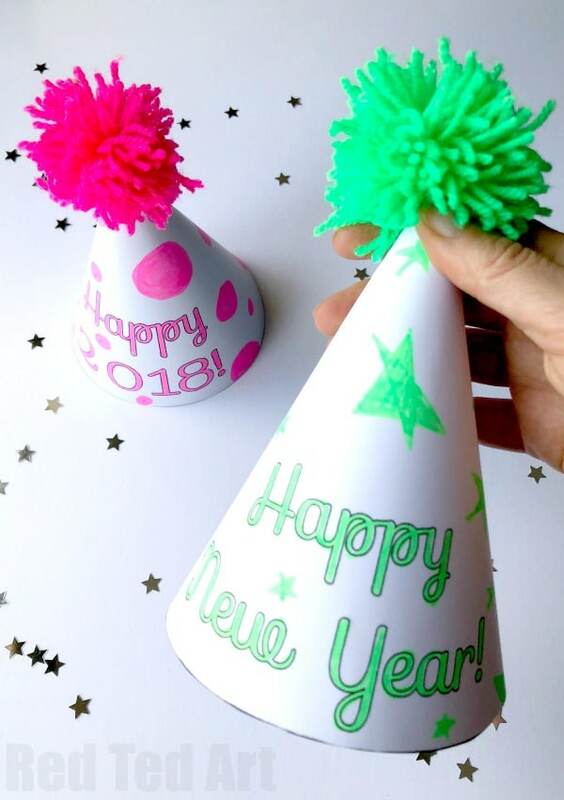 Today we have some Printable DIY Party Hats for New Year’s Eve – both a 2019 Party Hat Printable and a more generic New Year’s Eve Party Hat Printable.. so you can use these printables in this year, as well as in years to come. 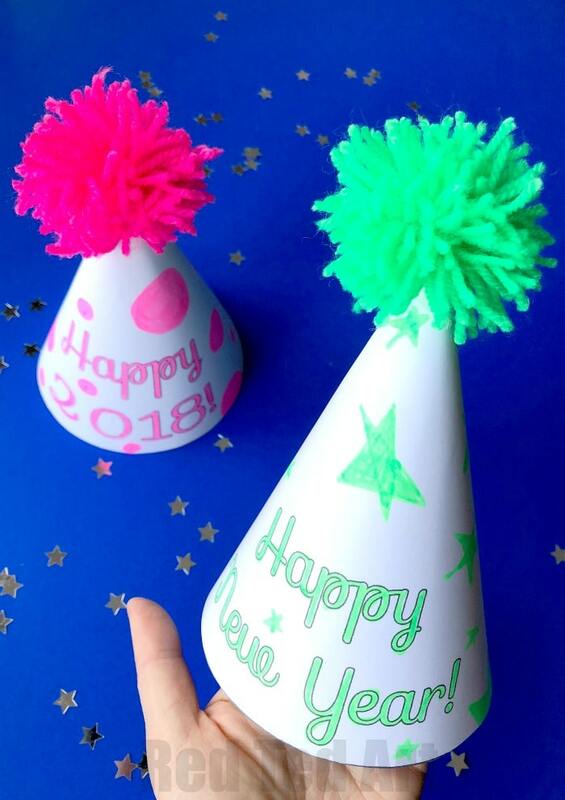 The DIY Party Hats are quick and easy to make and sport a cheeky and fun DIY Pom Pom too (we have a number of great Pom Pom making methods for you to check out) and they are a great addition to our Countdown Clock Printable shared earlier in the week. 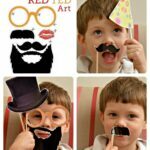 They would also look great combined with our New Year’s Eve Photo props. 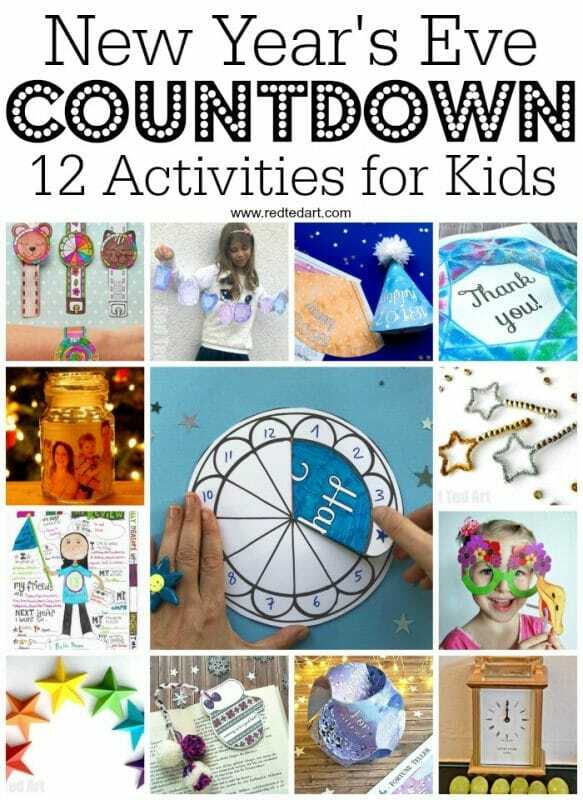 Find out more about our great set of New Year’s Eve Countdown Activities for Kids! 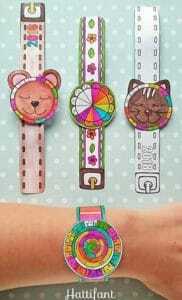 Hour by hour we provide with simple and new ideas…. 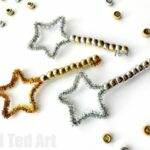 These go super duper well with Hattifant’s New Year’s Eve Crowns! 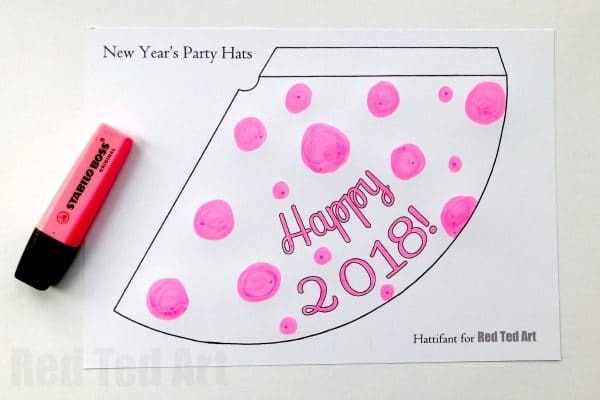 This post has been updated with the 2019 Party Hat Printables – both to colour your own and “ready coloured”! 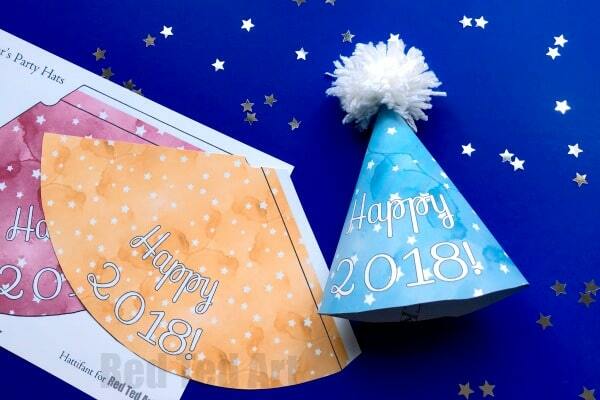 … print and assemble Party Hats with a gorgeous star and watercolour motif – again for both “HAPPY NEW YEAR” and “Happy 2018”. I like to print my hats on light cardstock to give it a bit more structure. 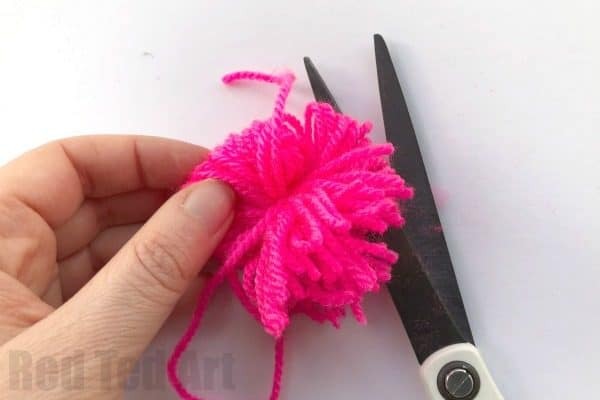 I would start by making your Pom Poms! 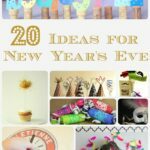 Be sure to leave a nice long piece of wool attached to your pom pom as we will use that to secure it your Party Hat later. 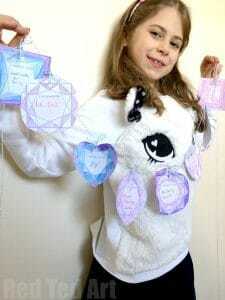 You can always make the pom poms “ahead of time” and let your kids colour and assemble on the day! 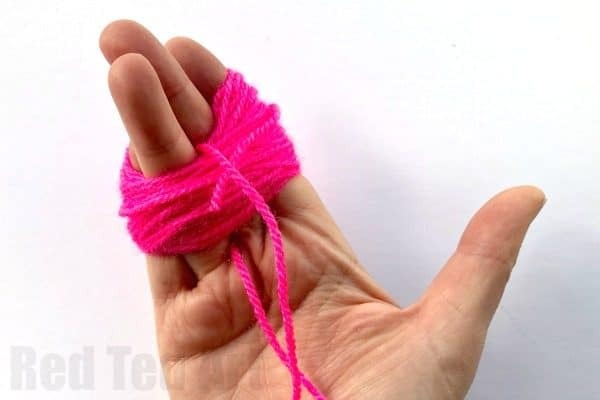 Begin by placing a strand (15-20cm) of wool between your ring finger and your middle finger – you will need this to tie the pom pom off later. I find it easier to make the final know once it is off my hand. 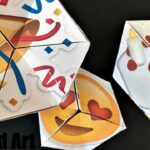 Cut open the loops with your siccors. 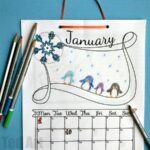 Begin by decorating your hats – use pens, pencils, crayons, watercolours, stickers, sequence.. whatever you fancy!!! 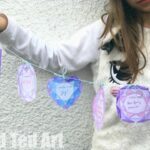 We used highlighter pens! Add a little tape to one side of the had. 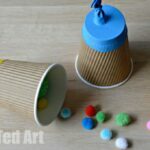 Twist the cone and secure on the other side. 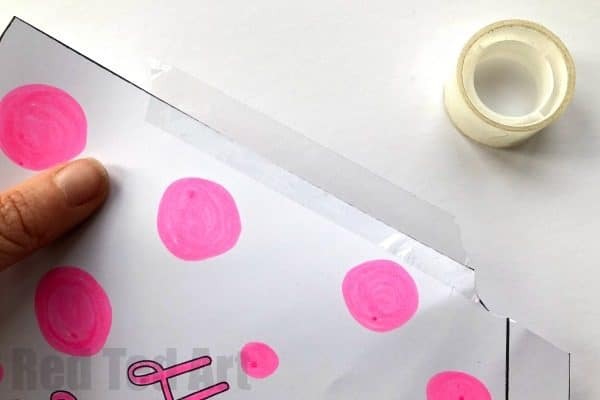 You can also glue this bit instead of tape it. You should now have a cone!! 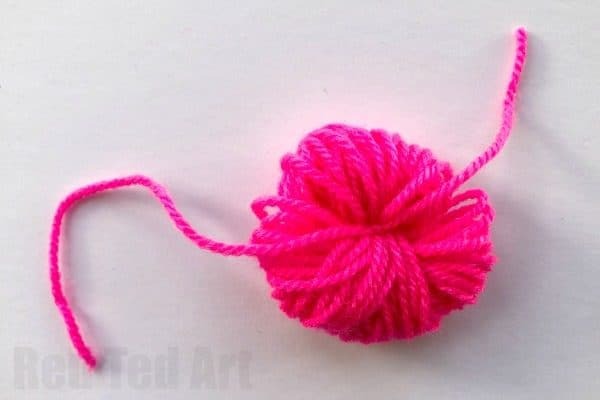 Thread your Pom Pom threads through the top of your hat (if need be, you can snip a little of the hat off and make the opening bigger. 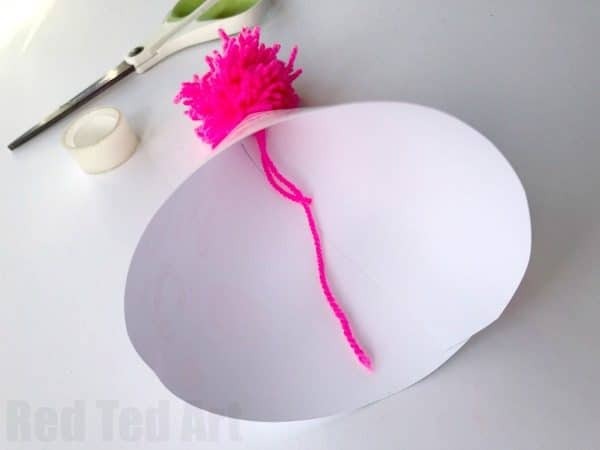 Pull on the string to make it nice and tight and tape in place. 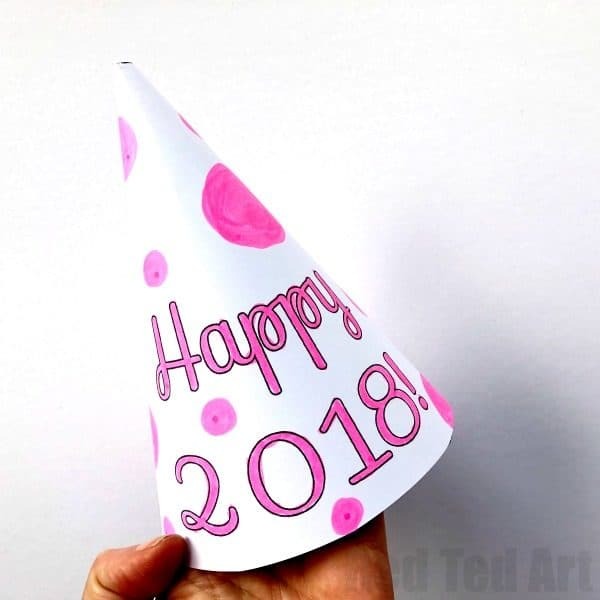 Finally tape some elastic to the sides of your hat for wearing.. Done!! That was easy, wasn’t it? 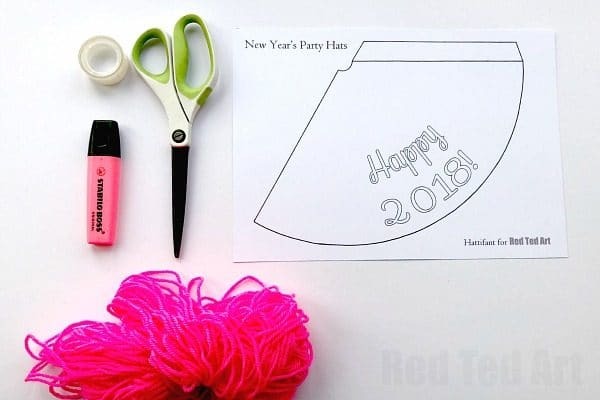 Fancy a slightly different party hat? 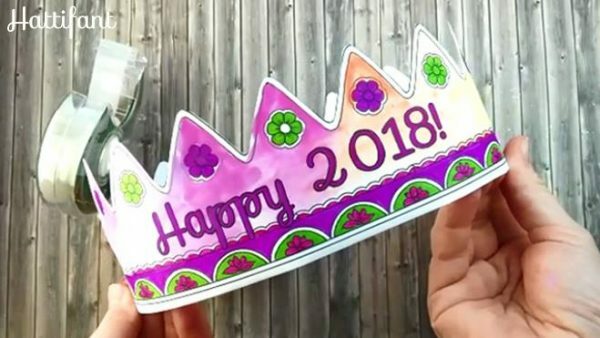 Why not give these fabulous Party Crown Printables from Hattifant a go? 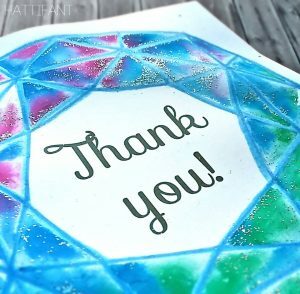 Thank you very much for sharing it’s very useful article and hope to read more about your experience.